Turuk Kothi standing with the same pride since ages. Mr. Hridayendra Pradhan 7th descendant of Lacchmi Das Pradhan . Situated 17 Kms away from the South District Head Quarter Namchi the Turuk Kothi has many unique features. The most important among them is that it belongs to the first minter of Sikkim Lacchmi Das Pradhan. This edifice was constructed by him probably after receiving a Land Patta to extract copper from different parts of Sikkim. 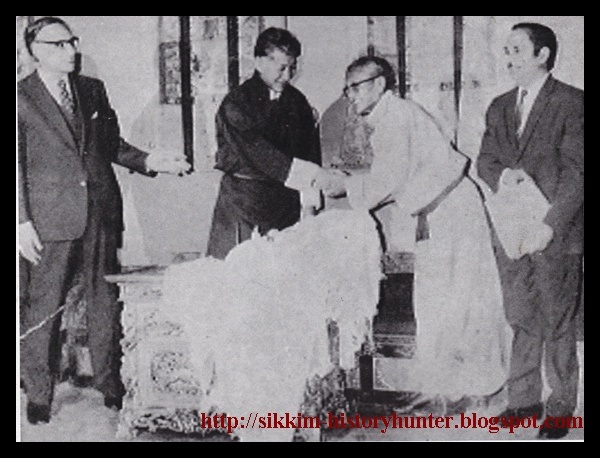 The historical records of Sikkim provide information that the first Patta to the Nepalese was issued in 1868. Therefore, it is obvious that the Kothi was constructed after receiving the royal order to get a Patta in the name of Lacchmi Das Newar. In this sense, this edifice can be regarded as the oldest construction of Sikkim constructed for the residential purpose. Further, Lacchmi Das was also responsible for bringing the Nepali settlers from Nepal to Sikkim to cultivate the unproductive and barren lands of Sikkim. Another historical importance of this house is that it had served as a District Head Quarter for many years. 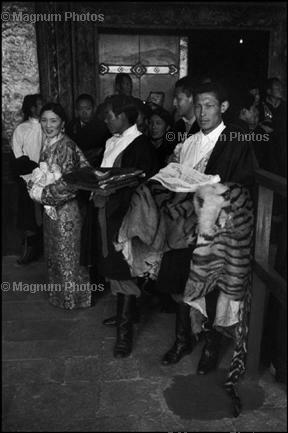 The earlier Taksaries later became the Rai Sahibs and served the Sikkimese monarchs as their subordinates. During a brief talk, Hridayendra Pradhan, a 7th descendent of Lachhmi Das Pradhan told me that the edifice also used to have a Settlement House then known as Kuccheri to settle the disputes among the subjects residing in their Estate. Further, the house also had a prison to punish the culprits. But, unfortunately due to the lack of maintenance the Settlement House and Kuccheri were demolished few years back. The most amazing aspect of the Kothi is that even after the lapse of nearly 142 years, the descendents of Lacchmi Das Pradhan are living in the same house which was constructed by their dynamic ancestor. The present resident of the Kothi, Mr. Hridayendra Pradhan informed me that all the Sikkimese coins which were circulated during the 19th century were minted at the very same spot. For the minting of such coins they used to extract copper from Pacheykhani in East Sikkim and were brought to Turuk to accomplish the task of minting. On the obverse of Doley Paisa (a denomination of Rupee also known as Dheba Paisa or sometimes Dooba Paisa) they struck Shri Shri Shri Sikkim Sarkar in Nepali to give a distinct outlook from the Nepali coins. The decision of the Nepali Government proved akin to a last nail on the coffin to the Sikkimese coinage. Though, the dream of the Newari traders to mint a distinct coin for Sikkim had an untimed demise, they occupied reputed chairs under Sikkimese monarchy to execute their services to the Sikkimese Crown and its Subjects. 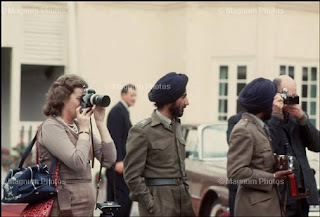 B.B Lal on 16th May 1975. 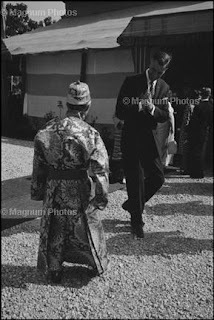 The political upheavals of 1940s precipitated into protest movement of 1973 that finally led to the merger of Sikkim into India in 1975. 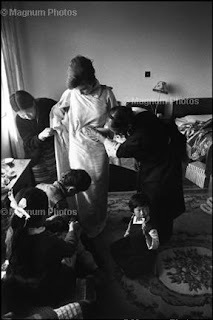 As the political era from 1919 up to 1947 is referred as Gandhian era in the Modern Indian History, the period of 30 years i.e from 1945 up to 1975 can be regarded as Kazian era in the Democratic History of Sikkim. It is because from 1945, late L.D. Kazi single handedly guided the democratic movement of Sikkim till its merger. 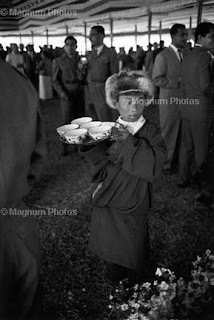 Kazi Lhendup Dorjee Khangsarpa was born at Pakyong, East Sikkim in the ancient and noble Khangsarpa family in 1904. As a pious Buddhist he entered the Rumtek monastery at the age of 6 years. 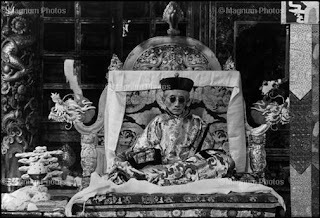 His uncle Tshurfuk Lama Rabden Dorjee was the then Head Lama of the famous Rumtek Monastry and young Lhendup became his disciple. 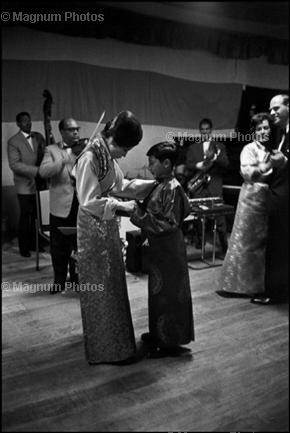 During his visit, Sidkeyong Namgyal the then Maharaja of Sikkim took a great liking to the young monk Lhendup and took him to Gangtok, where he placed him in a Tibetan School. At the age of 16 Kazi Lhendup returned to Rumtek monastery and underwent strict training of Lamaism for two years. Thereafter, on accomplishment of his training he succeeded as the Head Lama of Rumtek Monastery and its estates on the retirement of Lama Ugen Tenzing. Kazi Lhendup remained as Head Lama at Rumtek monastery for 8 years, and then left the monastery to work with his brother Kazi Phag Tshering, who founded the Young Mens’ Buddhist Association at Darjeeling. 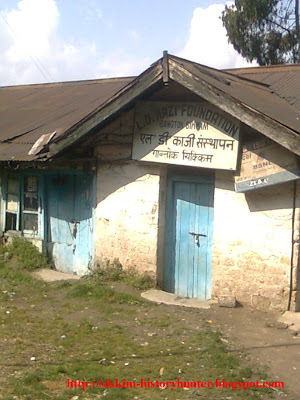 The two Kazi brothers founded a large number of schools in West Sikkim and were instrumental in bringing about a number of social and other reforms. The 40’s of the last century witnessed a heralding change world wide. A person with the feeling of service to mankind, Kazi Lhendup founded a Political Organization known as Rajya Praja Mandal at his native place at Chakhung in West Sikkim. 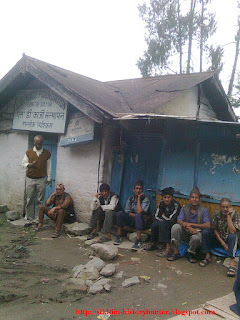 In 1947 the amalgamation of the three petty political organizations of Sikkim Rajya Praja Mandal, Rajya Praja Sammelan and Praja Sudhar Samaj took place. On 7th December 1947 they held a joint meeting at today’s Palzor Stadium (then Polo Ground) and decided to form a compact body to combat lawless feudalism. The huge gathering of 7th December 1947 led to the birth of first ever political Party of Sikkim known as Sikkim State Congress. Tashi Tshering also popularly known as Tashi Babu of Gangtok was the elected President of Sikkim State Congress. In 1953, Kazi Lhendup Dorjee Khangsarpa (people of his native place fondly called him Kancha Kazi) became the President of Sikkim State Congress and held that post till 1958. During his President ship he led a delegation to Delhi in 1954 to call on the Prime Minister of India, Pandit Jawaharlal Nehru. 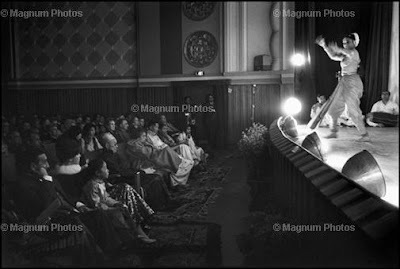 The Sikkimese had been fighting for political and economic reforms and these were discussed by the delegation with Pandit Nehru, who was deeply impressed by the sincerity of Kazi Lhendup Dorjee. The Indian Prime Minister promised to give assistance for the progress and economic welfare of the Sikkimese populace and assured Government of India’s support towards political reform in Sikkim. After the foundation of the Sikkim State Congress (which was a pro-peasant party) the pro feudalists founded another political party in 1948 to curb the rising tide of democratic ideas. 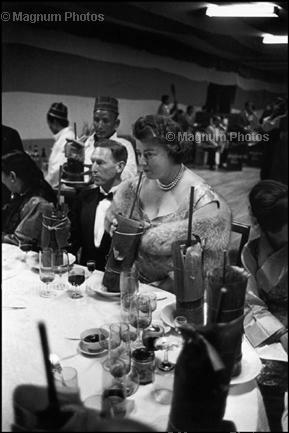 The new political party was known as Sikkim National Party and it was basically patronized by the palace. The Sikkim State Congress had branded this party as the “party of palace”. Kazi Lhendup Dorjee realizing the futility of the communal approach in the political scenario of Sikkim, and having dear to his heart the welfare of the people, decided to form another party, called the Sikkim National Congress in 1960. 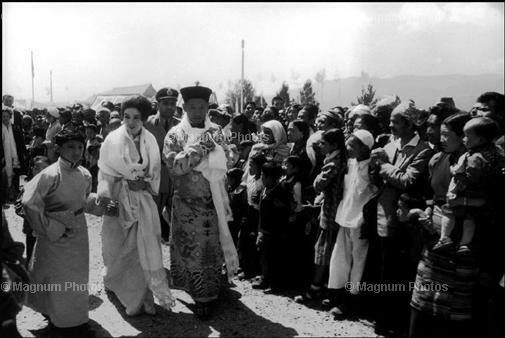 His main approach was to form a non-communal party which could give the Sikkimese peace, prosperity and progress. Contesting on this platform his party secured 8 seats out of 18 in the third General Elections of Sikkim in 1963. 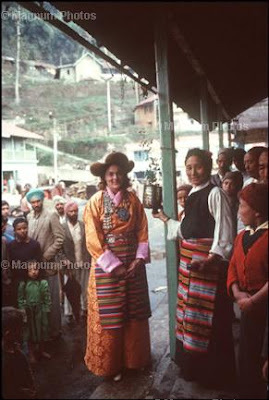 Kazi Lhendup Dorjee formed the opposition in the Sikkim Council and tried to bring about a feeling of communal harmony. 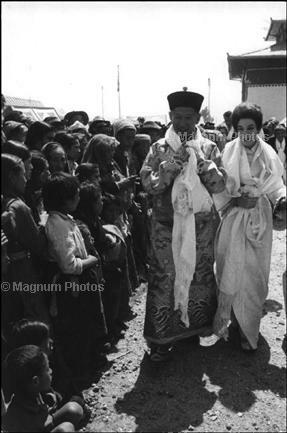 In the General Election of 1970, Kazi Lhendup Dorjee was appointed as an Executive Councillor and was allotted the portfolio of Agriculture and Animal Husbandry and Transport Authority. 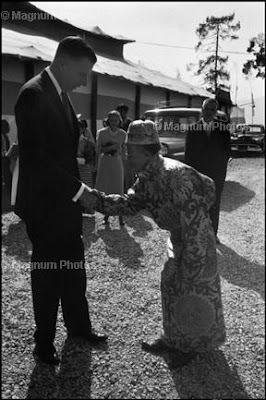 He, after being realized that Sikkim was an agricultural country, tried to bring about certain reforms to reorganize the economic conditions of the farmers. He was however, removed from the Executive Councillor in 1972. 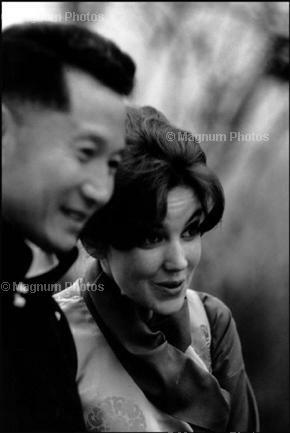 It is to be noted here that the Late Kazi Lhendup Dorjee Khangsarpa had his second wife from Belgium. 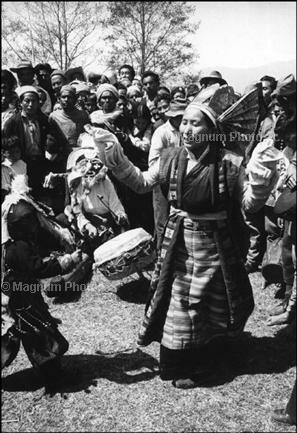 Her name was Kazini Eliza Maria (also known as Kazini Sahiba of Chakhung) who also had played a vital role in guiding and assisting Kazi Lhendup Dorjee Khangsarpa in his day to day affairs. 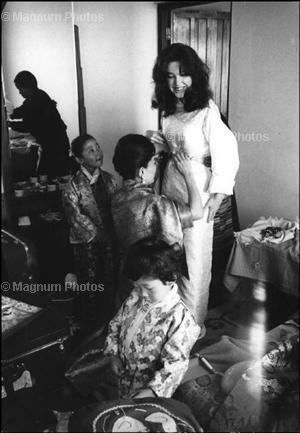 She was an influential woman who used to do most of the paper works of the party of Kazi from their cozy bungalow at Kalimpong. The General Election of 1973, the last general election based on the notorious parity formulae, did not satisfy the Sikkim National Congress. 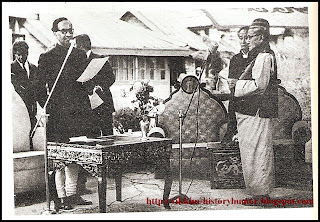 This led to an agitation in April 1973which ultimately led to the merger of two influential political parties of Sikkim the Janata Congress and Sikkim National Congress giving birth to Sikkim Congress. In the elections of 1974, Sikkim Congress secured 31 out of 32 seats in the Sikkim Assembly and formed its government based in principles of Liberty, Equality and Fraternity. He became the first Chief Minister elected according to the credence of Democracy. 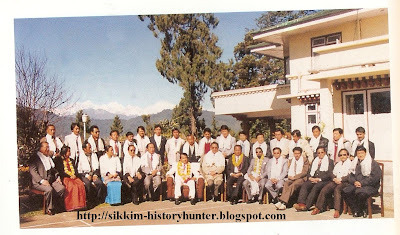 The Sikkim Congress delegates used to attend the annual session of the Indian National Congress. 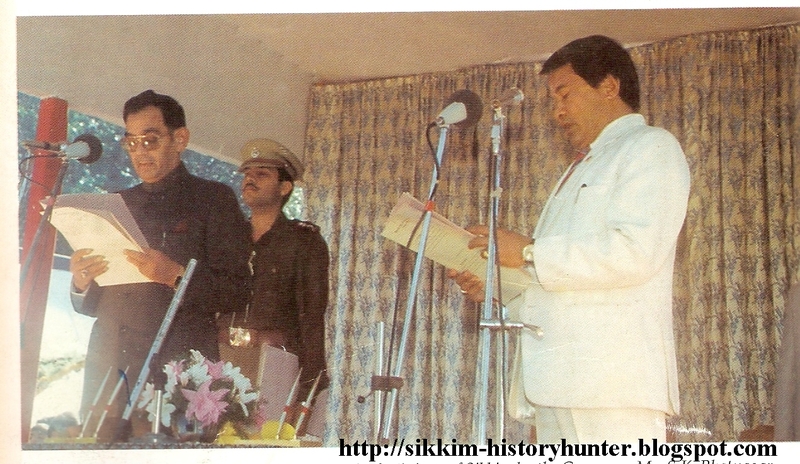 After the merger of Sikkim in 1975 the political party of Kazi Lhendup Dorjee Khangsarpa was also merged with the Indian National Congress at Kamagatamaru Nagar in Chandigarh.